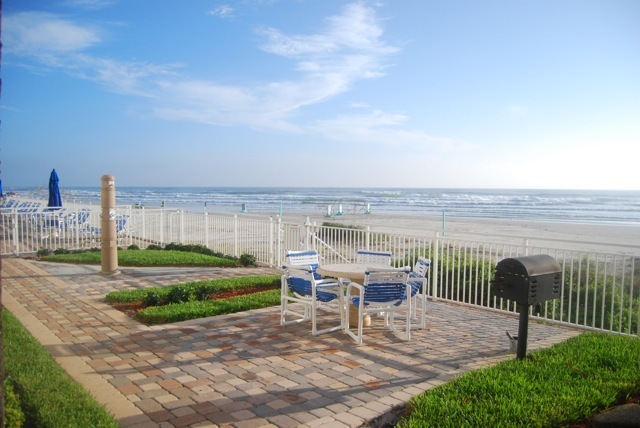 Coronado Tower's amenities are the best available for beach lodging. The amenities listed below are available for use by all renters and owners. Use the Contact Us button located above to receive more information from our manager. 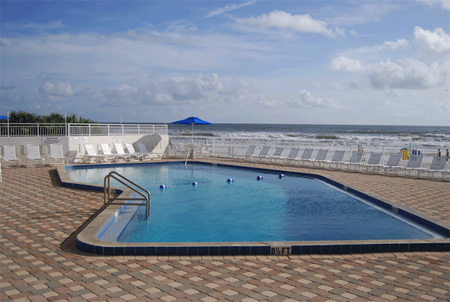 All of our units are beachfront condos so they all have breathtaking views of the Atlantic ocean. There are no indirect or blocked views. They all have a private balcony that directly faces the ocean - see the picture to the left. 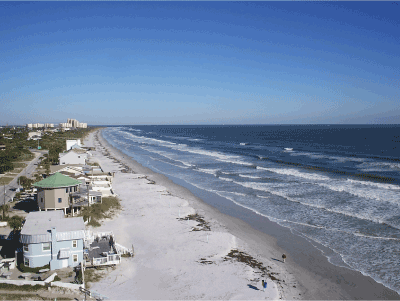 The ocean view for each condo rental is provided on the rental pages so you know exactly what you are getting. 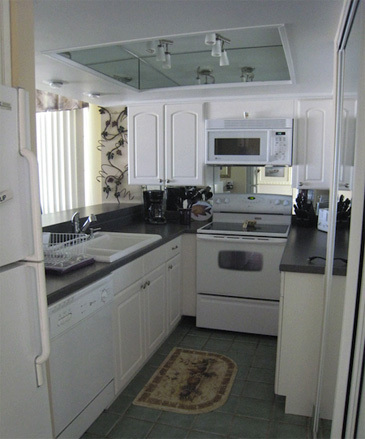 Our condos come with a fully equipped kitchen; a stocked linen closet; a full sized washer and dryer; A/C and heat; cable TV; and a reserved parking space. All condo's are smoke free. Individual units may have additional amenities. Of course, we're all here because of the beach. Getting to the beach is a snap. Take a few steps down from our pool deck and you're there. We have facilities to wash off the sand. Come enjoy a swim in our large pool. It's heated in the winter months so our guests can enjoy it no matter what time of year you visit. If you just want to relax in the sun, don't worry. The pool deck has scores of lounge chairs. There are umbrellas and chairs too if that's your preference. The best part is that the pool deck over looks the beach. So, come enjoy the view and the sound of the waves. Want to have a picnic, just steps from the beach? Then we have the spot. We have 2 grills with tables and chairs. Free broadband WiFi is available in all units through SKYFY. 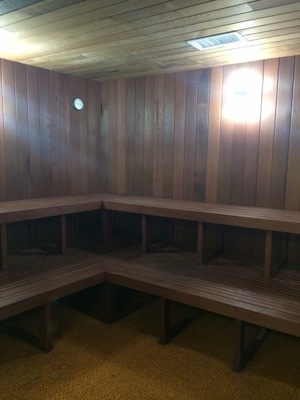 Our sauna is available for use by all of our renters and owners. Our manager is on-site most days to assist you. Besides direct beachfront condo's, we are located within walking distance of Flagler Ave. Flagler Ave is the main street and it is filled with restaurants and cute shops. See the local info page for details. Floor plans are available on the rental pages. Condos start at 1164 square feet. There are 3 different floor plans - 2/2 center units, 2/2 end units, and 3/2 end units.